It's good to be back on Ravnica. Whether it's your first time here or you've been to Ravnica before, welcome. Ravnica sets are some of the post popular Magic sets ever made, and so you're playing at a wonderful time! Ravnica has plenty going on this time around, both old and new. 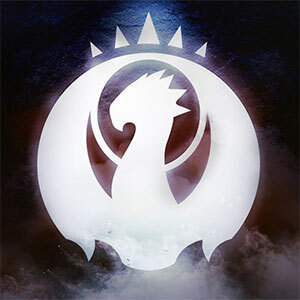 Guilds of Ravnica Prerelease is this weekend! 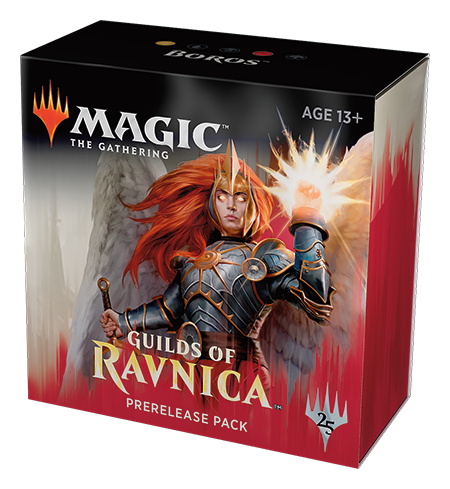 Prerelease events are your first chance to play with all the brand-new cards in Guilds of Ravnica. The action begins this weekend, September 29–30, so find a store near you to join in and stand with your guild! 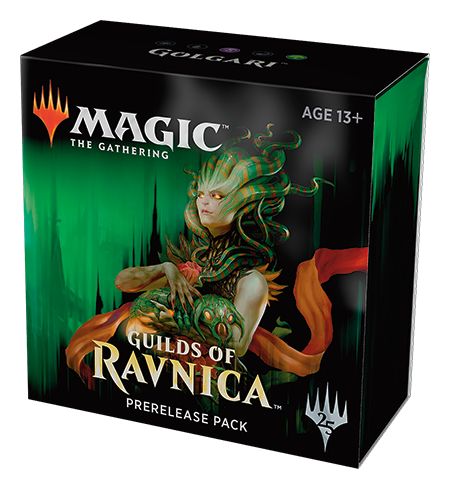 There's no better way to jump-start jumping into the world of Ravnica than the Prerelease. It's everyone's first chance to get their hands on the cards. No matter your skill level, no matter your background, the Prerelease is a Magic event you don't want to miss! But what's a Prerelease? What should you be expecting at one? And what makes them so awesome? Prereleases are my favorite Magic events of the year. No matter where in the world I am or what time of year it is, I always try and go check out a local Prerelease. And I'm not alone; tons of Magic players, from seasoned veterans to folks just starting out, do the same! Prereleases are among the most popular events we throw. Why? Because Prereleases are some of the most fun you can have playing Magic! There's nothing quite like it. You get to sit down, pick up some brand-new cards, and figure out how you want to use them at the same time everybody else is. It's an even playing field in a casual environment, where everybody shares all that bubbling energy and excitement around a new Magic set! I visited my first Prerelease when I was just eleven and instantly fell in love with the event. Seventeen years later, not too much has changed—and Prereleases are better than ever! Prereleases are great because the set is totally new, the footing is fairly equal as everybody plays with the set for the very first time, and you're all just relaxing and having fun exploring the new cards. It's just a lot of fun for old and new players alike! 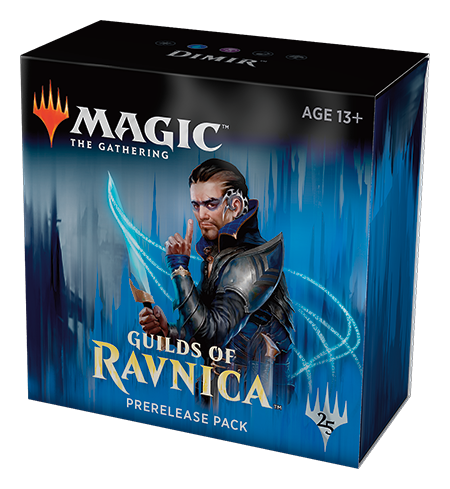 If you're a Sealed Deck veteran, you may want to skip ahead to the next section, where I talk about some of the differences you can expect at your local store for Guilds of Ravnica. But if you're new to the wide world of Sealed Deck or are maybe just looking for a few extra pointers, then read on! All right. So, let's go over perhaps the most important part: finding a place to play a Prerelease! After all, you can't very well play if you don't know where to go. How might you go about that? If you don't already have a local shop you frequent, be sure to check out the store locator to find one near you! That store may even offer preregistration. Prereleases are some of the most popular events we put on, so be sure to check and see if the store preregisters. The best time to find out if an event is full is decidedly not when you show up and learn you can't play, so be sure to plan ahead. Have you found your store? Excellent! Now it's time to look ahead and prepare for the event. While you will be building your deck for the event with cards you're given when you get there, there's plenty to do besides just that. Be sure to pack all the supplies you will need during this trip to Ravnica! For example, you may still want to bring a Standard deck to play for fun between rounds, a trade binder, pen and paper to keep track of life, and even a water bottle. Okay now, let's see. You have a store selected on your map, and you've filled your pack with everything you'll need. You've even read through the recent Magic Story, so you're up to date on what's been going on to bring us to Ravnica. And, of course, you've taken a look at all the awesome cards in the Guilds of Ravnica Card Image Gallery. Perhaps, if you were curious what a tournament might be like, you might have checked out my article conveniently titled "Your First Tournament." You're all set! Now it's time to actually go and open up some of those cards! Things are a little different for Guilds of Ravnica compared to your typical Prerelease. So, whether you're new or a veteran, take a close look at what we have going on this time! If the name of the set didn't give it away, Ravnica is all about guilds. Guilds, guilds, guilds! What's a guild? 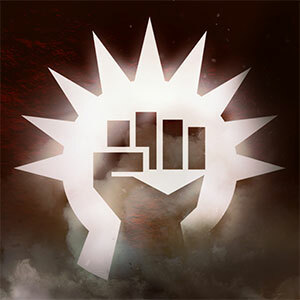 On Ravnica, there are ten two-color factions called guilds. Each one has its own personality, mechanic, and style of play. 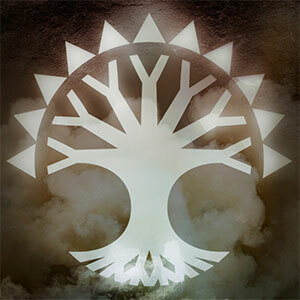 In Guilds of Ravnica, we have five of them: the red-white righteous militia of Boros, the blue-red mad scientists of Izzet, the blue-black sneaky spies of Dimir, the black-green masters over life and death of Golgari, and the unified green-white conclave of Selesnya. Which one do you identify with? 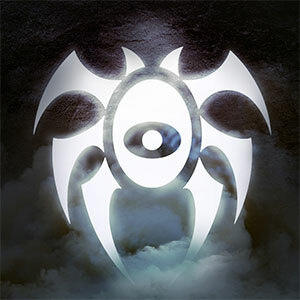 If you're not sure, go take a look at the description of each guild on the Ravnica plane page and see which one resonates! 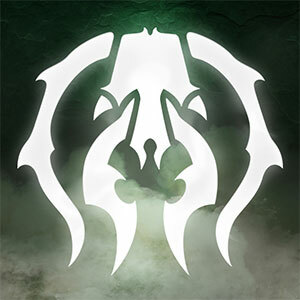 Which guild you are is going to be really important. Because at the Prerelease, you're actually choosing a guild! 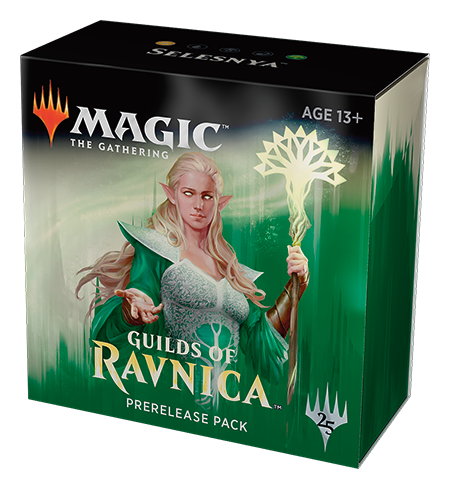 Inside, you'll get five normal Guilds of Ravnica boosters plus a special "seeded" booster. This contains one of eight different rares or mythic rares as your Prerelease card, plus a ton of cards to give you a head start on building a two-color deck of that guild. There are some themes in the boosters built around the rares/mythic rare that you open (not to mention some mana fixing!) so this should really help your deck fire off on all cylinders. So much cool stuff! Now welcome to Dimir—it looks like I sneakily convinced you to join! Ha! But, of course, front and center are those booster packs. Let's talk about what to do with those next! First things first: crack open those booster packs! Then, you'll have a stack of cards. Sealed Deck is a little different from normal deck building. You get to build a deck using only the cards in front of you, plus as many basic lands as you'd like. Also, unlike a normal Constructed deck where the minimum deck size is 60, you only have to play 40 cards. A good "mana curve" in that color—meaning lots of creatures with different costs. Ideally, the colors you pick will have all four, but if two or three of those are true, that's plenty good. Now you have your colors down. From there, how do you take everything you have and figure out which 22–23 cards you're going to want to put in your deck? Here's one process that may help! That's far from hard and fast, but it's a good place to start. Cull your creatures down to these numbers by choosing your favorites. Now that you have your core creature base figured out, it's time to add in spells! Pick your favorites among your colors to bring your deck to 22 or 23 cards, and then you're good to go from the spell side. The spells you're going to want the most are what are called "removal spells"—these are the spells that permanently neutralize your opponent's creatures by either dealing damage, keeping them tapped, or just straight-up destroying them. Sealed Deck Magic is all about creatures, so you'll want to play most of the cards in your colors that can get rid of your opponent's creatures. If you want to learn more about mana curves, you can also check out my article on how to build a mana curve by clicking here. You can play more than 40 cards, but you really should stick to 40 if possible. Every card you play past 40 just means it's that much less likely you're going to draw that awesome rare you put in your deck! The land ratio you're looking at should be about seventeen lands to 23 nonlands. This isn't right 100% of the time, but most Limited decks end up looking like this, and, in general, it's what I would want to have. Play a mix of cheap-to-cast and expensive-to-cast cards. If you have all cheap, small creatures, then a single big creature can shut you down. If you have all large, expensive creatures, you risk getting run over first. Stick to a mix that focuses on the two-, three-, four-, and five-casting-cost creatures. More games of Sealed Deck are won by casting a creature every turn starting on turn two or three than any other way. Ravnica has a lot of mana fixing. It is possible to splash a third color if you open up the right Guildgates and Lockets. However, unless you are truly a honed veteran, I would try and refrain from playing more than three colors, as tempting as it may be! Unlike most Magic formats, Sealed tends to be a little slower. If your deck is on the slow side, choosing to draw (go second) rather than play (go first) can be reasonable to give you that extra card. Well, the simple version is this: you and your teammate work together to build two 40-card decks. Then, you play against another pair of players in a one-game match. How does this kind of multiplayer play out? It's simple: all your creatures and lands are separate, but you each share the same 30-point life total and take your turns simultaneously—plus you can block for each other too! To do the best you can, you'll need to work together to overcome the opposition. If the idea of spending a day playing a tournament doesn't fit into how you prefer to play Magic, or if you have less time and just want to experience Ravnica on your own time, you can get involved in Open Dueling! 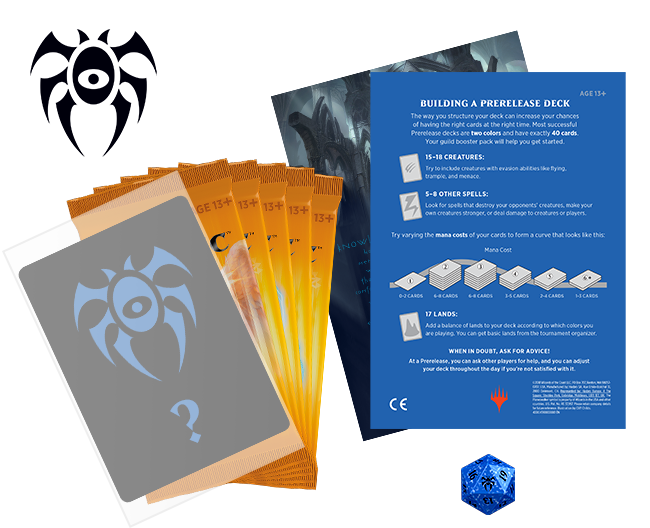 You get a ready-to-play 60-card Planeswalker Deck and use it to do battle against others participating in Open Dueling, including players participating in the main tournament who are between rounds. This is a great way to dip your toe into the water if you aren't sure the Prerelease is something you want to do or if you can't commit 5 hours to a Prerelease event. You can just play games in Open Dueling at your own leisure. Plus, it's fun! Ask your local store about Open Dueling at the Prerelease, and prepare to battle! Something new to Prerelease is the ability to actually pick up a box at the Prerelease! 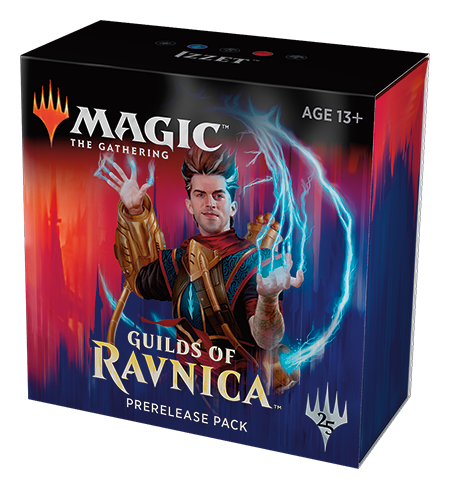 That's right: if you preorder a booster box of Guilds of Ravnica ahead of time, you can actually buy your box and bring it home (or crack it all open there!) right away. Contact your local store for more details. Similarly, you can buy Planeswalker Decks on Prerelease day as well! Open dueling or no, feel free to pick up a deck and get to battling! Each guild in Guilds of Ravnica has its own wild mechanic, so there's plenty to learn about! Ravnica has always held a special place in my heart. When I first started playing competitively, it was with Ravnica: City of Guilds. When I got to R&D in Wizards, the first set I worked on was Return to Ravnica. And now, all these years later, to get to work on another Ravnica set as a senior designer . . . well, it's a real treat. And I think you'll have a blast with what we put together! So gather up your friends, take another look through the Card Image Gallery, make sure you're preregistered at your local store, and get ready to come out to the Prerelease and have fun! Have any thoughts or questions? Wondering what to expect? I'm happy to hear from you! You can always get in contact with me by sending me a tweet or asking a question on my Tumblr. I'll be around. May your Prerelease—no matter how many times you've been to Ravnica—be wonderful. Choose your guild and have a marvelous time!